This involves crowning teeth near the space. 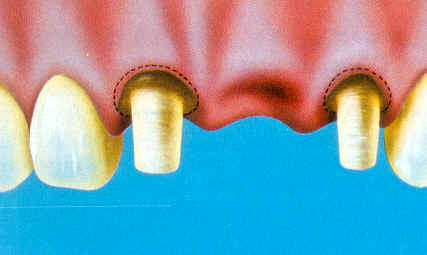 This type of bridgework is usually more expensive than a resin retained bridge because it takes more time and involves ‘crowning’ several teeth. This type of bridge is generally favoured if it is anticipated that the artificial unit will be expected to withstand heavy chewing forces. 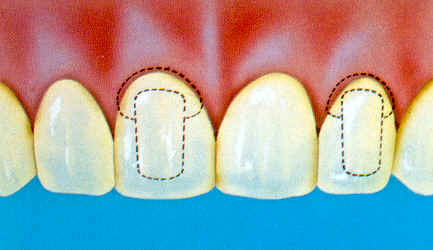 The adjoining teeth are prepared for the bridge. 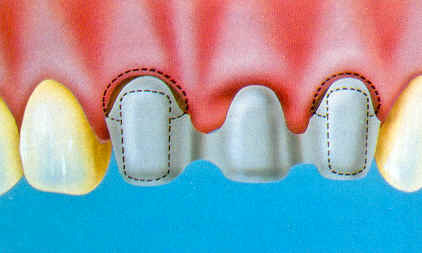 The bridge above is made with a metal substructure covered with porcelain to exactly replicate the teeth. The bridge is connected in place permanently. 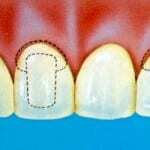 Because the substructure is covered in porcelain it is not seen and the teeth look natural. Bridges like this can also be made fully out of gold or porcelain. 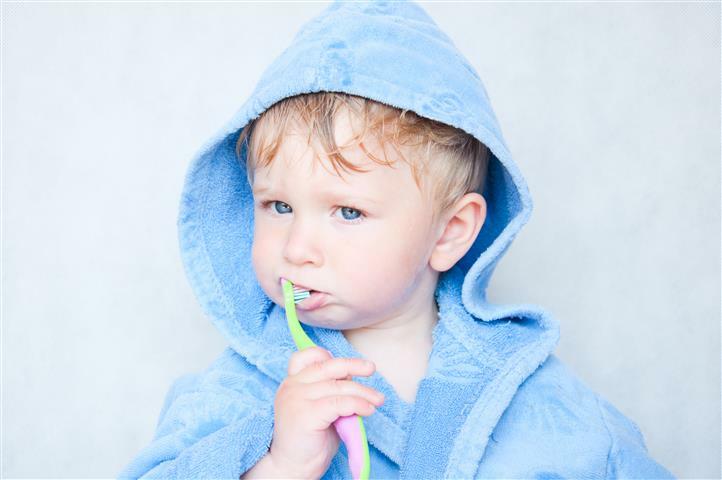 Because it does not come out it has to be looked after very carefully, with good oral hygiene involving tooth brushing and flossing.